Abstract: Product Lifecycle Management (PLM) solutions have been thrust into the front of F&B company minds because of the impacts of and heightened awareness of food safety issues caused by the Food Safety Act and increased demands for rapid product innovation. This paper talks about this explosive growth. In industry, product lifecycle management (PLM) is the process of managing the entire lifecycle of a product from inception, through engineering design and manufacture, to service and disposal of manufactured products. 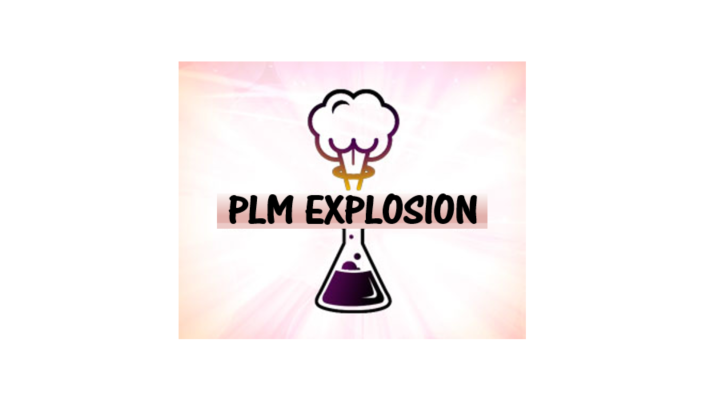 PLM solutions allow the development of and experimentation with a product, its raw materials, and its bill of materials (BOM) or recipe without cluttering the ERP system with product and material definitions that will never make the transition to a saleable product. Can you recall when a change to the menu at McDonald’s made headlines. When they added a sandwich to the menu it made the national news. It was infrequent and was actually considered a risky product/marketing move for fear that it would detract from the sales of other menu items. Similarly, can you recall when there was only one flavor of ketchup or barbecue sauce or mustard or cream cheese or yogurt. The list goes on and on. Can you recall back to when nutritional labeling was not required, allergens were not as prevalent, and kosher/halal products were few. Fast forward to today where we have the polar opposite from even 10 short years ago. The adage that change is a constant has never been more true than it is today. The increased tempo for ever changing products is combined with food safety management demands, accurate nutritional labeling, concerns over allergens, kosher, organic, and gluten-free has resulted in product proliferation like we have never seen before. Further, the line between engineering change or formula change and new product introduction has never been blurrier. For almost every consumable, from fast food, prepared foods, beverages, bakery items, confectionery, dairy, personal care products, and even water, it’s all about the flavor of the week. It’s almost like the entire consuming public has A.D.D. and is constantly demanding more changes and more variation. Part of the answer for food and beverage manufacturers is product lifecycle management (PLM). Product lifecycle management is a mechanism to formulate and experiment with products, variations of product ingredients, and new products while keeping all this activity insulated from what we call active products. Why is this important? It’s important because most production systems were not designed to accommodate the volume of experimentation and changes to products that are required to compete in the current marketplace. In the context of technology, ERP systems were generally designed to set up and then produce products on a repetitive basis. We mass manufacture our product lines. We buy the same ingredients week in and week out from the same vendors in approximately the same quantities and as a result a company’s systems contain a finite set of items, vendors, customers, and active items. Add in the complexity of a high level of experimentation or R&D. The complexity is driven by the increased tempo and associated development of new products, This creates a large volume of items and versions of items which may never be produced, purchases of the ingredients for those items from vendors which may never be used in production, and calculating nutritional GHS information (allergens, and other regulatory information which may never be used) not to mention the work instructions, microbiological testing, and other lab tests which may be required. Finally, the complexity can drive the polluting of your ERP database with a plethora of items, vendors, customers, work instructions, even sample production orders, shipments all for products which may never transition to actively marketed and sold SKUs. In addition to many other functions, PLM affords companies the ability to formulate, experiment, and conduct R&D activities in a sandbox separate and apart from their ERP system. PLM gives companies the ability to create items and versions of items, ingredients, vendors, estimate costs, establish work instructions, measure nutritional values, determine GHS requirements and labeling requirements, all before a product is actually put into production. These systems are even more crucial for companies which make what custom products, e.g. ingredient manufacturers, sauce manufactures, protein manufactures, flavors, colors, and nutraceuticals. The ability to formulate, purchase one time ingredients, make samples, and then measure the anticipated procurement and production costs is markedly enhanced with the use of PLM. This, in turn, drives the understanding of payback on R&D and/or products formulated for a customer specific application. This has never been more critical. PLM enables these capabilities and makes them readily available to F&B manufacturers. The accelerated tempo of product change and development coupled with the increased, more demanding, food safety regulations and compliance requirements is driving the growth of the PLM solution market. These solutions enable F&B manufacturers to develop the organizational agility to match the demands of the market in a cost effective and efficient fashion. Those PLM providers focused on F&B are included in our Solution Provider Ecosystem for F&B and highlighted in the PLM Ecosystem for Food and Beverage detail report. We can see no end to the demand for new consumer products.